Garnier has recently introduced new SkinActive skincare range which contain 96% natural or nature origin ingredients. SkinActive Botanical range has 3 steps skin products – cleanser, toner and moisturiser – for all skin types using natural ingredients per skin requirement. I chose the Rose Water range which is design for dry and sensitive skin. I don’t have always sensitive skin and my skin is not dry either. But I love rose water and anything made with it. I got a cleansing milk, rose water toner and a moisturiser. 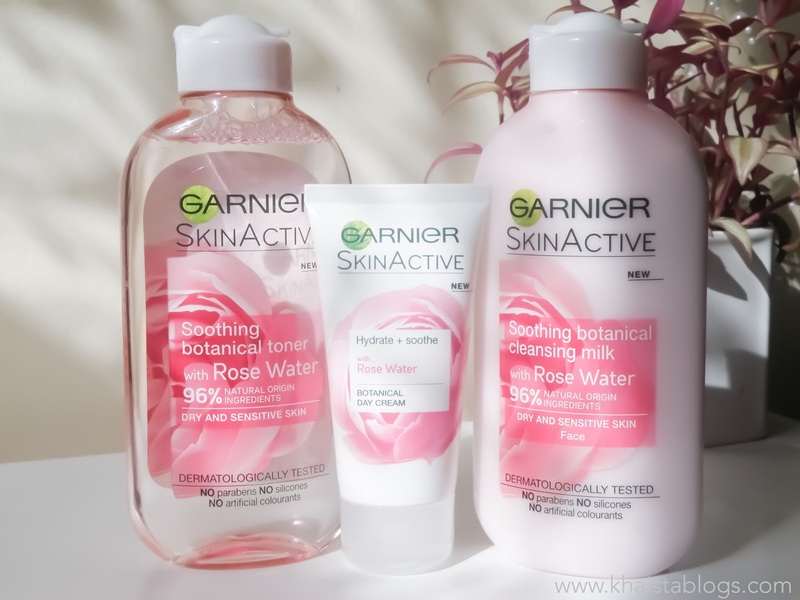 Garnier SkinActive Botanical rose water range is made with real rose water. All ingredients are listed with their origin on every product which is very convenient and clever. All products don’t have extraordinary fragrance but have a nice subtle rose aroma. All SkinActive products are free of paraben, silicon and artificial colourants. 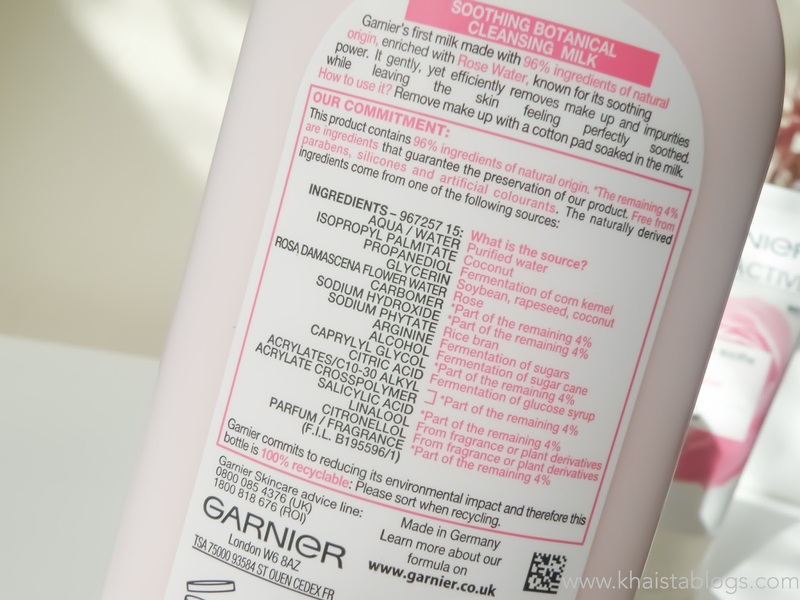 Garnier SkinAcive Soothing Botanical cleansing milk with rose water is a traditional cleansing milk and is a first step of the regimen. I didn’t use cleansing milk in a long time so it was a nice experience for me. It has nice creamy consistency. It feels very nice on skin. It breaks down makeup and removes first layer with no trouble. However, for deep cleansing, either repeat the process or use another foaming cleanser to remove all traces of makeup and pollutants. Although Garnier suggest to apply cleansing milk with cotton pad to remove makeup but I apply cleansing milk directly on my damp skin. Lightly massage it all over my face and then use cotton pad to remove it. But this is my way to use it. If you are not comfortable with it, you can totally follow the advised procedure. And for sensitive skin, it does make sense to use cleansing milk with cotton pad to avoid causing irritation. What I like about this cleansing milk is that it leaves skin feeling very fresh and soft. Another product I got is SkinActive Soothing botanical toner with rose water. It is Garnier first toner made with natural products. I absolutely enjoyed using this toner. After every use skin feels invigorating and clean. It has soothing properties, so skin doesn’t feel tight and uncomfortable. It is also very gentle on skin. 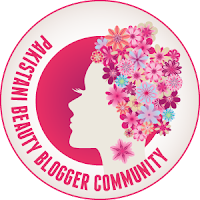 Third step is Botanical day cream with rose water which hydrates and soothes sensitive skin leaving it moisturise and supple. It has nice creamy texture but not heavy by any means. It is very light-weight and sinks into skin immediately like expensive moisturisers. It feels so good on skin, very hydrating and smooth like a baby bottom. I find it slightly heavier for my skin type but I still enjoy using it. This whole range is not out of this world but it is worthy enough to try out at least once. It is quite difficult to find natural ingredients based products in drugstore and high street brands hence I find Garnier SkinActive range very appealing. And as the range is very wide you can mix and match products. You may find some favourites. You can check the whole range on Boots website. Will definitely check this out, I love things that smell like rose. This sounds like an interesting range, Rose seems to work well with my skin but it smells absolutely horrid on me so I am glad the scent is just subtle. I love most things scented with rose which instantly make sit pretty appealing to me. I'm tempted to try the day cream that sounds lovely. These sound fantastic! 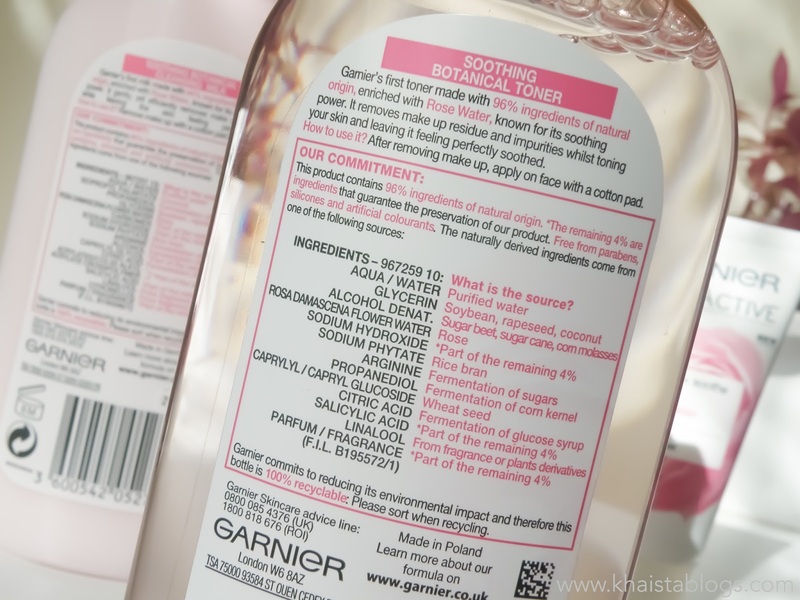 I used my make my own toner from rose water, so I can definitely say it's good for the skin! I get in on with their other products but never tried these before. Really want to give these a go! I love garnier's products but it contains alcohol and I have stopped using chemical filled products on my skin and body. I have a very bad experience with chemicals. 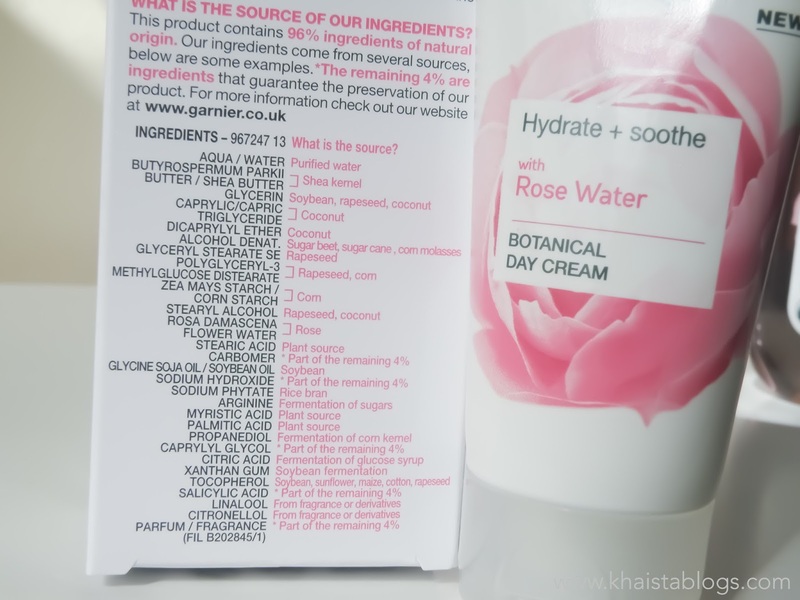 Pure Rose Water For Skin and I am very happy with the results and my glowing skin. Sharing the website link with you all in the name itself.